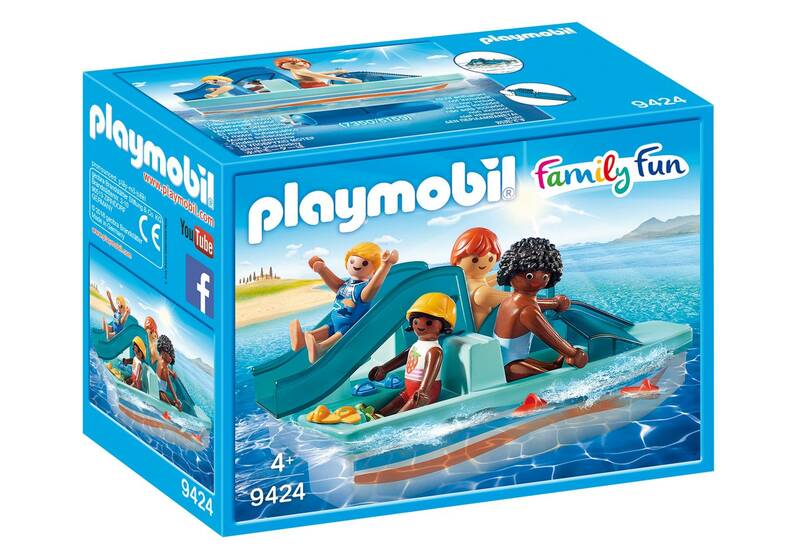 Enjoy the sights in the sun from the Playmobil 9424 Family Fun Paddle Boat. 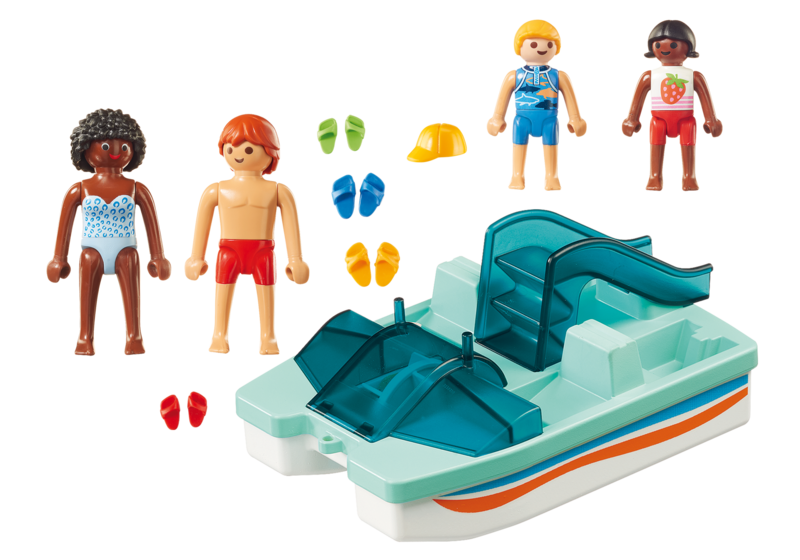 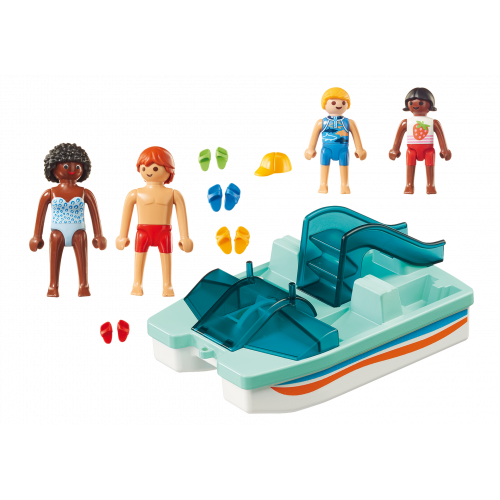 The boat floats on water, features an on-board slide and has room for up to 4 Playmobil figures. 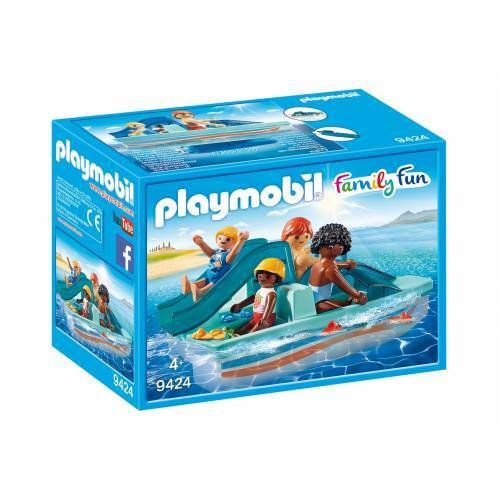 For added fun, the set can be upgraded with the 7350 Underwater Motor (sold separately).